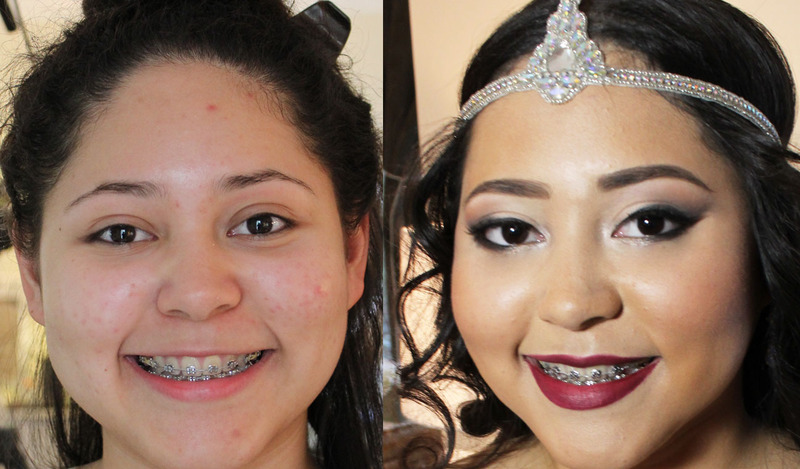 I'm back with another prom makeover! I made over my client for the second year in a row. 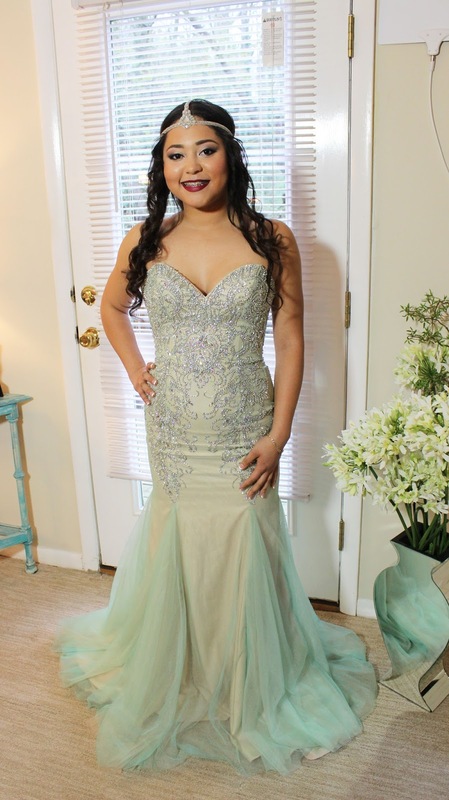 This was her senior prom and we went all out. We called the look Arabic Mermaid. Check it out! My client showed me her dress which was a mix of beautiful nudes and iridescent aquas. I knew that a bold lip would take her look to the next level. It took a bit of convincing but once the final look came together, she loved it. On her skin I used a combo of Graftobian Super Cream Foundation and MUFE HD Foundation to help cover the discoloration and acne scars. 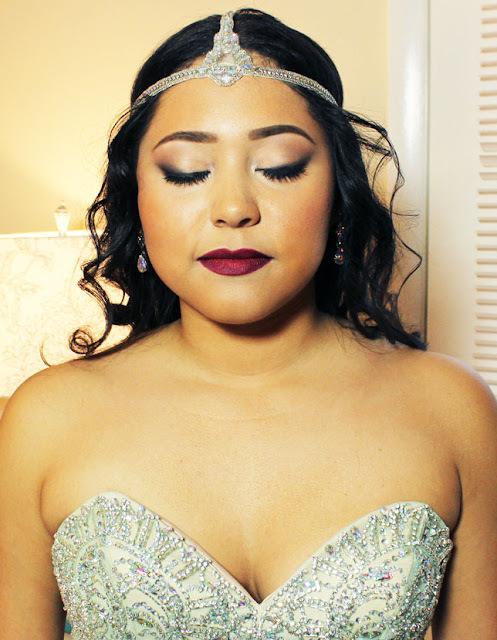 Her face is much paler than her body so I bronzed her up with my MAC MSN Natural powders in deeper tones. I gave her a smokey winged eye that is not too dramatic as to compete with the lip. I also gave her a bolder brow to go with the exotic look. At first she didn't want a dark brow but once she saw the final look she requested more. It's always good to start makeup coverage light and build. The lips are MAC Vino Lip Pencil and Fashionista from Illusions Beauty. I had so much fun posing her to take pictures. Don't you love her headpiece? It ties the whole look together.